Charlotte Sets GHG Reduction Goals: Charlotte approved goals to reduce carbon emissions, including a reduction of twelve tons of carbon dioxide or equivalent gases per resident to two tons per resident by 2050 and a carbon neutral by 2030 goal for the municipality. 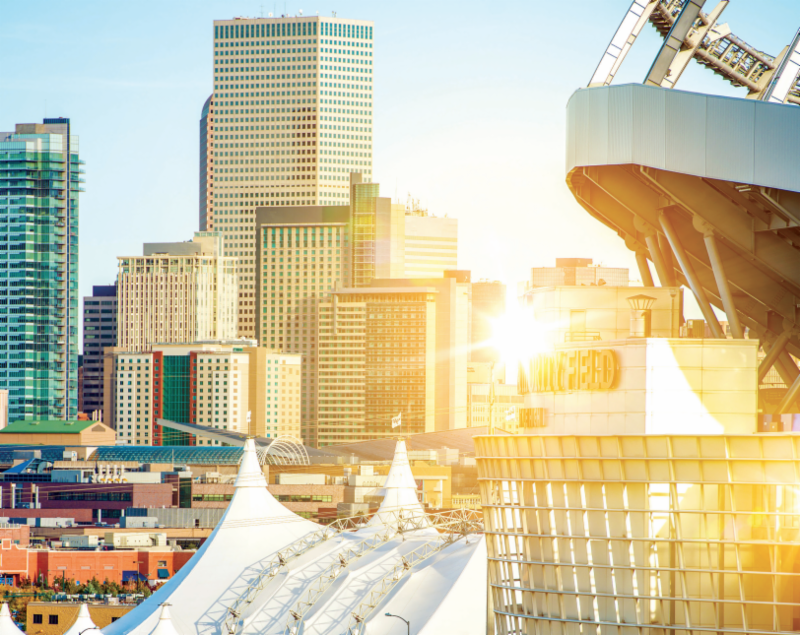 Denver Plans for Deep Decarbonization: Denver released an updated Climate Action Plan, outlining a pathway for deep decarbonization in buildings, transportation, and electricity generation that will help meet the city's GHG emissions reduction goal of 80% by 2050 and the 100% renewable electricity goals for city operations by 2025 and citywide by 2030. Philadelphia Adopts the 2018 International Building Code: Philadelphia became one of only three jurisdictions in the continental United States to ratify the 2018 International Building Code for commercial construction, which will require new buildings to be more energy efficient, advancing the city's 80% by 2050 GHG emissions goal. Saanich BC Approves the First Active Transportation Plan: Saanich BC will move forward with an active transportation plan, which outlines their long-term vision and short-term priorities for walking, cycling, and transit infrastructure investments. Climate Change Op-Ed Featuring Nils Moe and Johanna Partin: Nils Moe, USDN's Managing Director, and Johanna Partin, CNCA's Director, recently co-authored an op-ed published in The Hill about how cities will be the most susceptible to climate impacts and how the public can take action. Washington DC Approves Establishing a Green Bank: Washington DC became the first U.S. city to officially establish a Green Bank, allowing the city to accelerate deployment of clean energy technology, leverage private investment, and increase efficiency of public funds. Carbon Neutral Cities Alliance (CNCA) Hosting "Game Changers & No Brainers" Workshop: CNCA will be hosting an official Global Climate Action Summit Affiliate Workshop for city officials that will feature sessions led by CNCA city mayors and sustainability directors on implementing key policies and practices that cities have found transformational in addressing GHG emission challenges on September 12 in San Francisco. 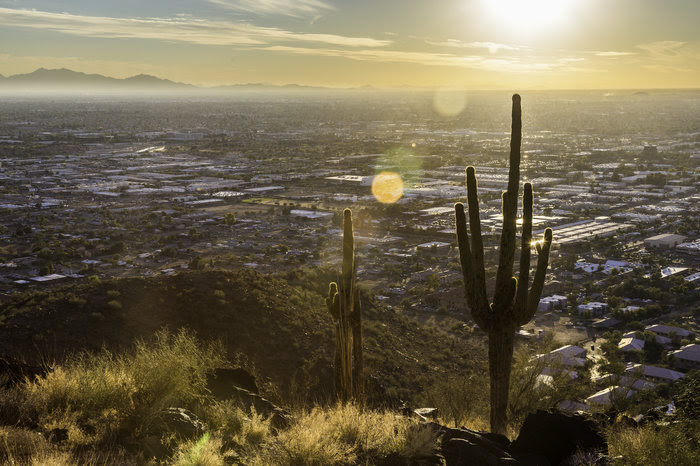 USDN Member Mark Hartman (Phoenix) Discusses Urban Heat Extremes on NPR: Mark Hartman (Phoenix) was recently on NPR's Morning Edition discussing Phoenix's leadership on managing urban heat extremes. Honolulu Issues Directive on Climate Change and Sea-Level Rise: The City and County of Honolulu will now require all municipal departments and agencies to establish policies addressing the impacts of climate change and sea-level rise. 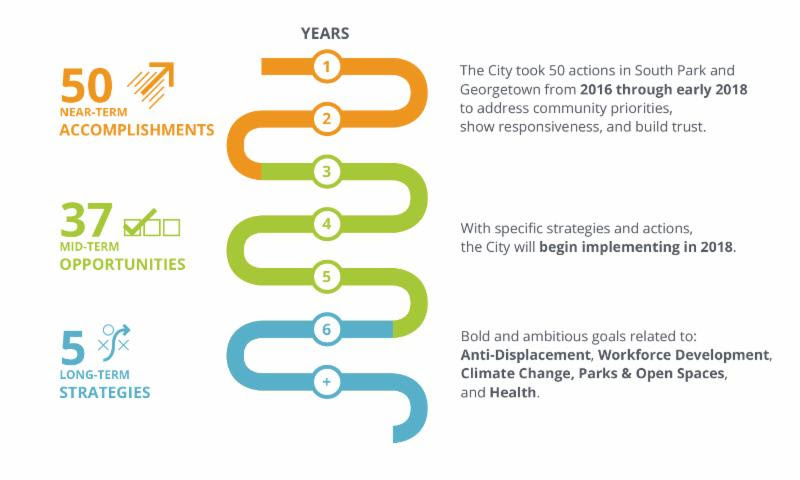 Seattle Releases an Environmental Justice and Equitable Development Plan: Seattle published the Duwamish Valley Action Plan, a neighborhood-based environmental justice, equitable development, and anti-displacement strategy that was developed by applying an environmental justice and racial equity lens. USDN Members Top Park Rankings: Minneapolis, Washington DC, Arlington VA, San Francisco, Portland OR, Cincinnati, Chicago, and New York City were among the top ten Trust for Public Land's ParkScore Index cities, a ranking based on cities' park access, amenities, acreage, and per-capita spending on parks. New York City Submits Sustainability Progress to United Nations (UN): New York City is the first city in the world to voluntarily submit a review of the city's progress and identification of opportunities towards meeting the UN's Sustainable Development Goals. Burlington Launches Partnership with Local Car and Bike Share Providers: Burlington Electric announced a new incentive program that offers customers a free bike share membership for purchasing an electric vehicle and a free car share membership for purchasing an e-bike. Lawrence's Green Bond Program Featured in Governing Magazine: Last month, Governing Magazine featured Lawrence's Green Bond financing program.